Rollingstone.com is having a discussion about which album is more “influential and essential” from the 1990s. 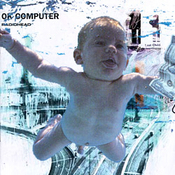 Is it Nirvana’s Nevermind or OK Computer from some band called Radiohead. I think you know where we stand. Next post: Radiohead to play some festivals this Summer?